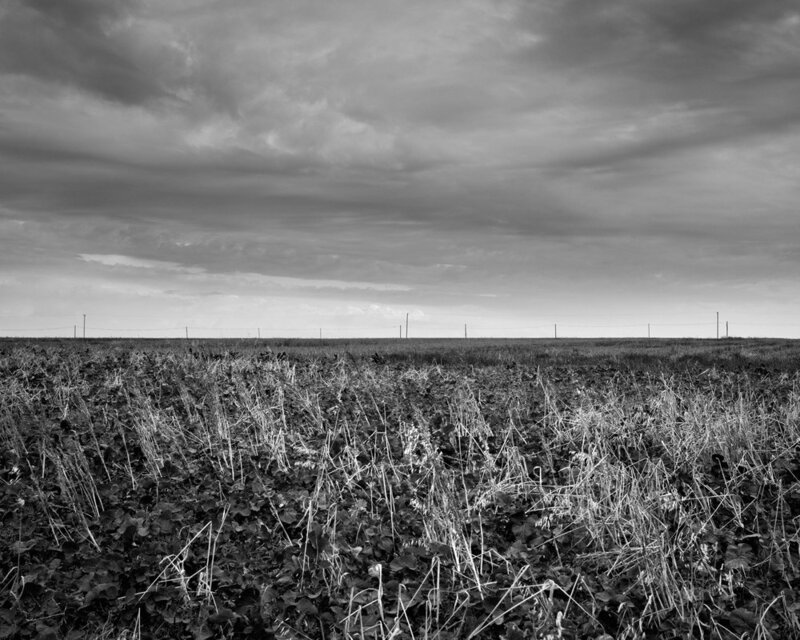 The deadpan arrangement of elements within this photograph have been used to give a feel for the utter desolation of some of the Hook’s landscape. Huge unending skies and a contour-less patchwork of fields comprise pretty much the entire peninsula’s aesthetic. One of the few things to disturb the otherwise completely clean line between the land and sky is the telegraph poles that litter the land. To photograph this place and not include them would be a sin. They bisect a great many views here and as such have become a part of the place. This image positions the horizon centrally, and like a great many of the images in The Hall of Dreams, this is a deliberate compositional choice. Slade #7 creates horizontal division with a telephone wire; in Loftus Hall #8 it’s a tree branch for example. Initially, the play between the poles and the crop residue in the foreground was what caught my eye. The scene before me I thought had a kind of Mount Calvary thing going on. As I levelled and framed though, I noticed the symmetry of the poles. Its at times like these my heart skips a beat, you realise perhaps, just maybe, there’s something a bit special on the cards.